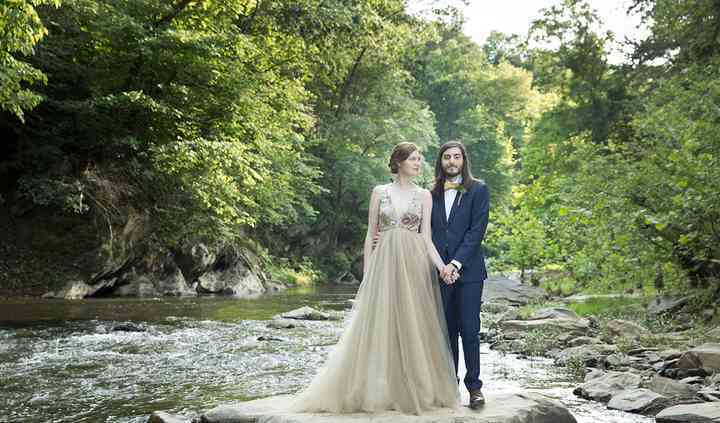 Whether your special fête will take place in the District, Maryland, or Virginia, these Washington, DC wedding photographers are ready to capture the intimate, sweet moments and the grand gestures alike. Be sure to look...Read more through photos these Washington, DC wedding photographers took at other celebrations to get a feel for their style. Washington, D.C., the nation’s capital, is situated along the Potomac River, bordering Maryland and Virginia. With magnificent monuments and neoclassical architecture that dot the landscape, the region is always a popular destination for wedding couples. Finding the right photographer to capture the magic of your special day may seem like a wide-angle long shot at first, but you have plenty of resources around to help you out. You can ask friends and family for referrals, or ask the venue if they have any recommendations. While reviewing wedding photographers in Washington D.C., pay particular attention to their portfolio. Have they shot similar weddings before, and do they understand your unique preferences and needs? Once you narrow down your choices, take a look at your budget. Depending on what packages you choose—video and photography, photography only, engagement and wedding reception photos, etc.—costs can rise up to $10,000 for a wedding photographer. Washington D.C. wedding photographers are slightly on the high end, so plan to spend at least $2,500 - $4,000, or 10 percent of your total budget. 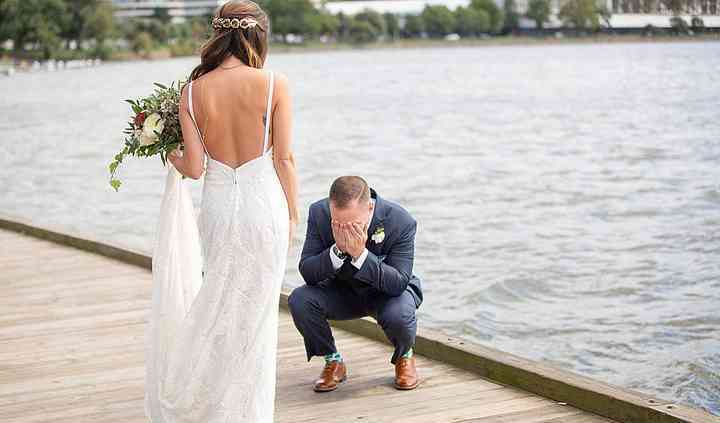 Wedding photography in Washington D.C. is first-rate. The city and surrounding areas offer a wealth of wedding venues, from historic mansions to swanky country clubs and resorts and waterfront venues surrounded by lush landscapes to elegant estates with lovely gardens and manicured lawns. In the city, the elegant National Gallery of Art, the Kennedy Center Roof Terrace – with panoramic views of Georgetown and the Potomac River – and an abundance of historical monuments and architectural wonders are sure to entice you and your partner. Keep in mind seasonal opportunities as well – if you’re fortunate enough to see the cherry blossoms in full bloom, that photo opportunity alone might just take precedence over any other! Best Time of Year for Wedding Photography in Washington D.C.
Spring is mild but short, while summer is hot and humid. Winter weddings in Washington D.C. can be very romantic with the potential of bright snow and soft skies. If you are concerned that you or your guests will be uncomfortable, book an indoor wedding venue. If you insist on a winter wedding, take time to find a photographer who has experience shooting that time of the year. Summer downpours are not uncommon in Washington D.C., as well as in neighboring Virginia and Maryland. When you interview wedding photographers, be sure to ask if they are equipped to shoot in the rain and what their experience is. From a photographic perspective, rain isn’t necessarily a deal killer; in fact, it can enhance your photo shoot, resulting in pictures that can be more organic, dynamic and elegant. Note that some outdoor venues, such as country estates, can quickly move you indoors should it rain. Planning your wedding is an exciting time, and your Washington D.C. wedding photographer will be able to capture the memories to last a lifetime. Make planning easy with our planning tools, where you can keep track of your Washington D.C. photography options as well as venues and other vendors. With each decision, you’ll be one step closer to celebrating your “I do” moment.